At Mountain View Gardens & Ballroom, everywhere you turn is a picture waiting to be taken and a memory waiting to be made. Whether you're planning a simple occasion or an ornate affair, we will help turn your wedding fantasy into a reality. Our professional staff has more than 20 years of experience in creating fabulous weddings, and we will strive to make your day as unique and beautiful as you are. 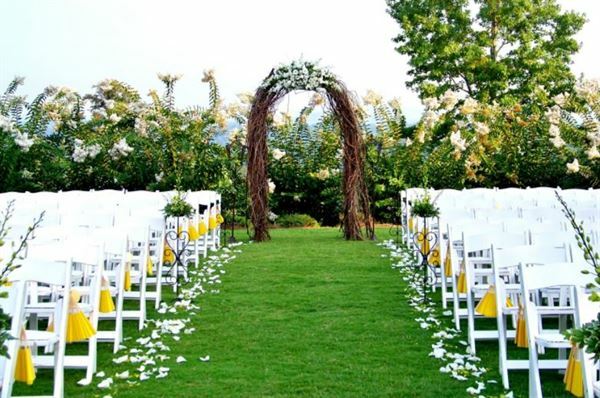 All you need for your dream wedding is in this picturesque setting. This fine victorian home is beautifully decorated and sits on 11 planned and landscaped acres to take advantage of every breathtaking view. The grand ballroom provides ample space for dancing and enjoying fine food prepared by our expert caterers. We are proud to offer the ebst value in the wedding industry and look forward to helping you make incredible memories on your very special day.